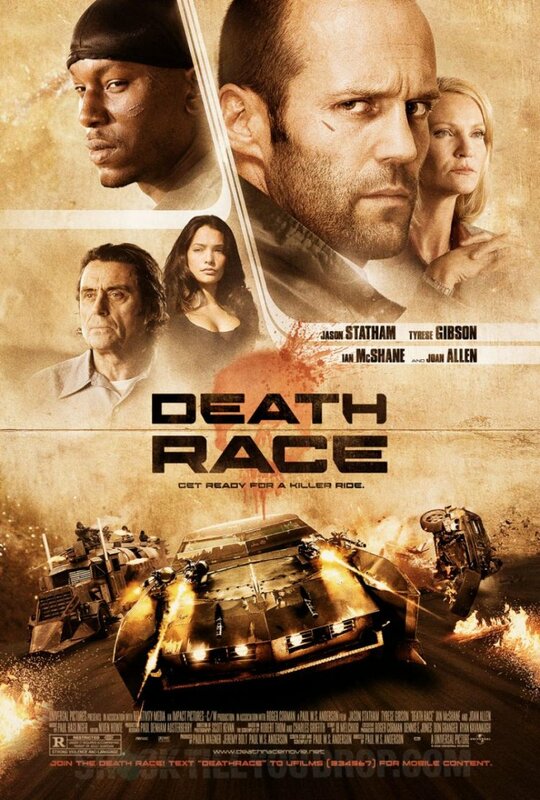 You pretty much can tell that Death Race won’t be a good movie just by taking into account the fact that it’s directed by Paul “The Bad One” Anderson. But the movie does have a surprisingly good cast and a premise that is goofy, but entertaining. 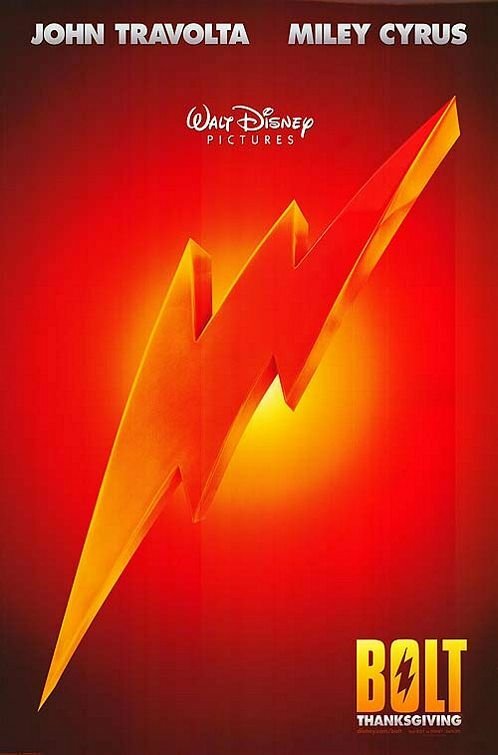 So you’d think they would manage to come with a fun poster or at least something that used well the cast. But they didn’t. And no, just having their heads floating around doesn’t cut it as “using well the cast”. The lack of fun is what is really throwing me here. Not only is this poster really by the book it also seems, with the possible exception of the (small) tagline, to be taking itself very seriously. Which tells me that the movie will probably be the same. Which is not how I wish they were playing it. But it is a Paul W.S. 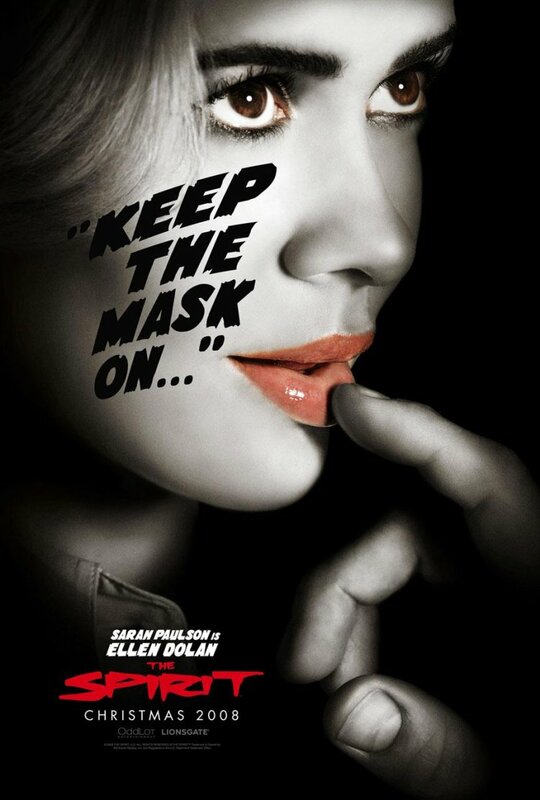 Anderson movie, so I probably should be happy that the poster isn’t tempting me at all. Alien Vs. predator had cool posters, and look at how that turned out. This one is interesting to me. The similarities are quite obvious, and have been pointed out elsewhere. Perhaps the fact the the Funny Games poster was one of the most striking posters of late makes things more obvious, but still. Then again, the differences are quite huge. And among them is the much calmer expression, which pretty much takes away the power from the poster, making it similar superficially, but very different emotionally. And as much as the Funny Games poster has been raved in some corners, FG wasn’t exactly a hit, so using the poster as inspiration seems like a strange choice, from a marketing point of view. IMPAwards also has the Swedish poster, which mixes the new poster with the poster I had talked about before, a veeeery long time ago. I really wish they had done more with the whiteness of the ambient. But I guess this isn’t too bad. 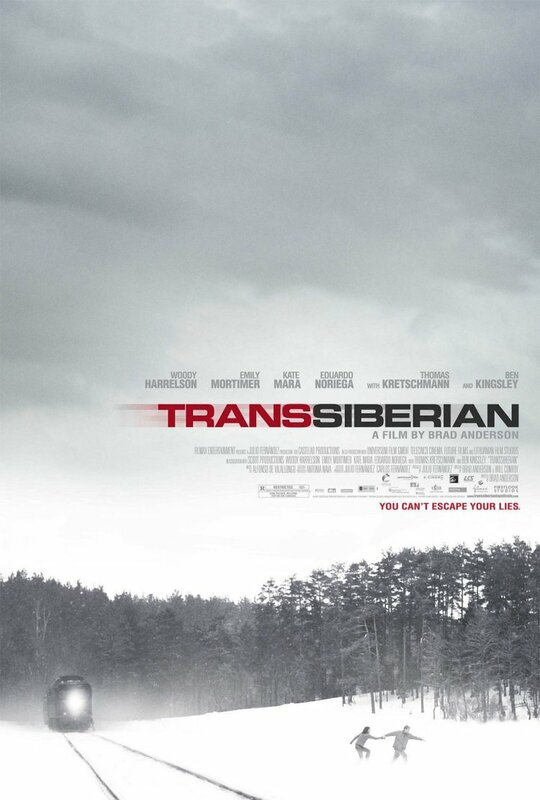 It’s always funny to find a new poster for a movie you wrote about a year ago. Apparently they used all that time to come up with a much worse poster design. Despite all the 24 success my man Kiefer still can't score a face placement on the poster for his crappy horror film. Sad. But they did chose to replace the Kiefer's head with a screaming woman, which is like, totally original when it comes to horror posters. To be fair, it is more disturbing than the general woman screaming images. Young Rainn Wilson was cute. Old Rainn wilson with almost no clothes is mostly scary. 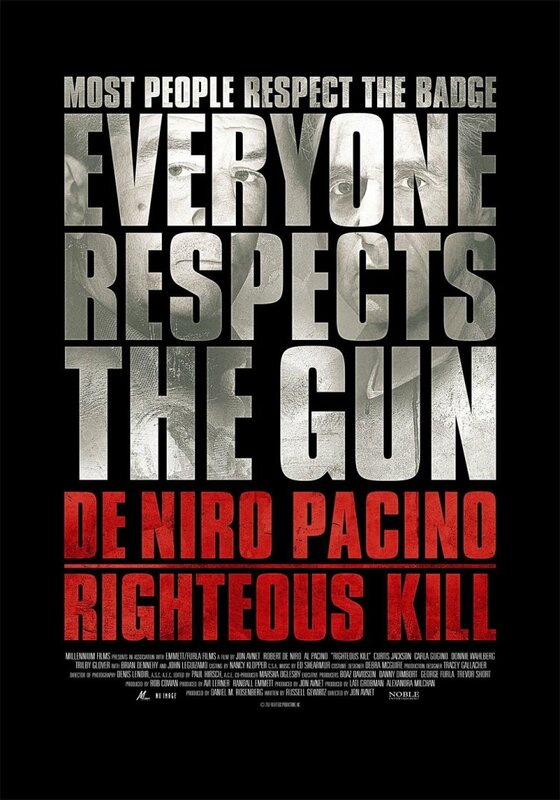 Surprisingly the poster that almost doesn’t show DeNiro’s and Pacino’s faces is the most effective one for the film so far. Going blind, piece by piece. It seems nobody knows for sure what the hell Tyrannosaurus Rex is about. But it is, much to my disappointment, apparently not about an actual T-Rex. I’m already less interested. Then again maybe this is a ploy? Show the crazy bikers first, get people thinking this is something kinda like The Devil’s reject, and when people actually go to the movie BAM!, the T-Rex shows up in the first five minutes and starts eating everybody. In the end he he stomps on the pretentious British fop who is just marrying our beloved heroine for her money. The two run away from her overbearing parents and live happily ever after. Until he eats her. Now that’s a movie I would pay good money to see. Well, two more posters this week, completing the female side of The Spirit. Once again the very same style, but not quite the same effect. Both posters go straight for the seduction angle and don’t manage to create a vision of the character behind the image as intriguing as the ones the first two posters created. Perhaps these two received less effort because the actresses aren’t quite as famous? Could be. Or maybe I just got tired of the style. The posters, when taken together, are also pretty clearly going for the boys. Now, they are a lot more interesting then the typical show the curves style of boy’s appeal, but nevertheless. I still love the overall poster campaign, but it’s not perfect. have in the past embarrassed myself in this very blog by allowing people a glimpse into what kind of stuff I find funny. And I love when I get a chance to do it again. Yes, it’s sort of a stupid poster. But come on. 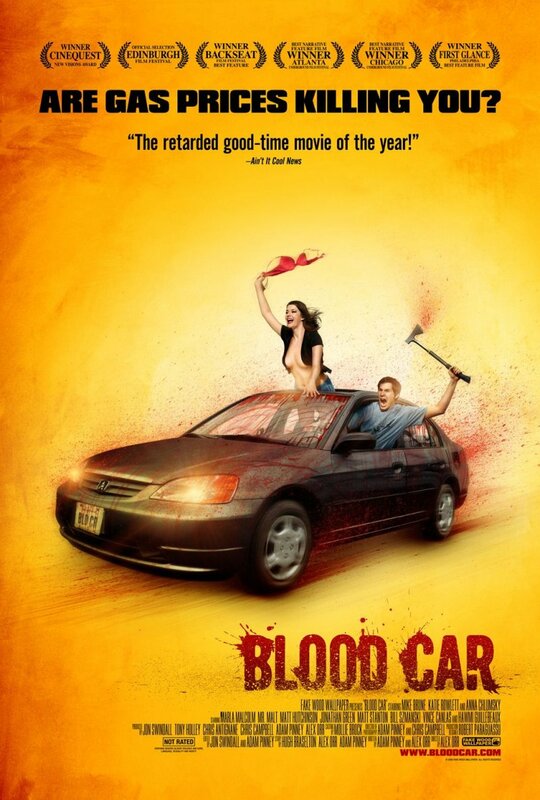 A guy driving, screaming furiously and brandishing an axe as blood sprays all over him and the car. How can you not love that? And the girl that is for some reason swinging around her red bra(or is it a blood drenched withe bra?). Does it make sense? Not really. But it looks like she is having so much fun! Now, for the bad news. 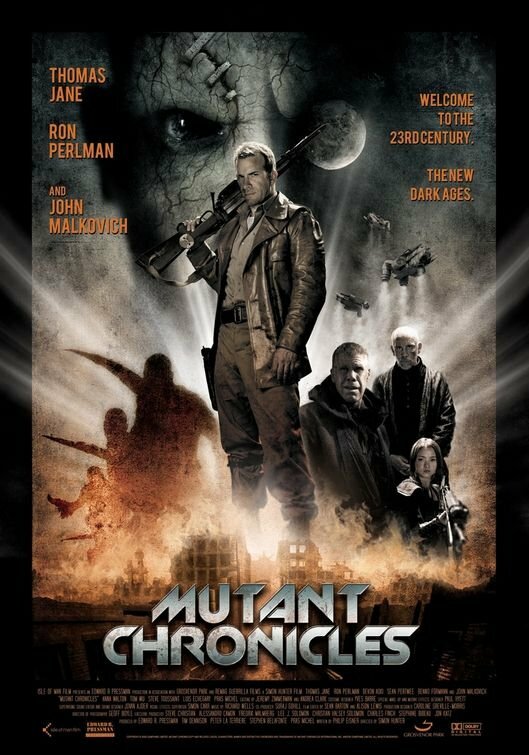 Some people who have actually seen the movie think this poster is a bit misleading. The good news? They still thin it’s a pretty nifty flick. 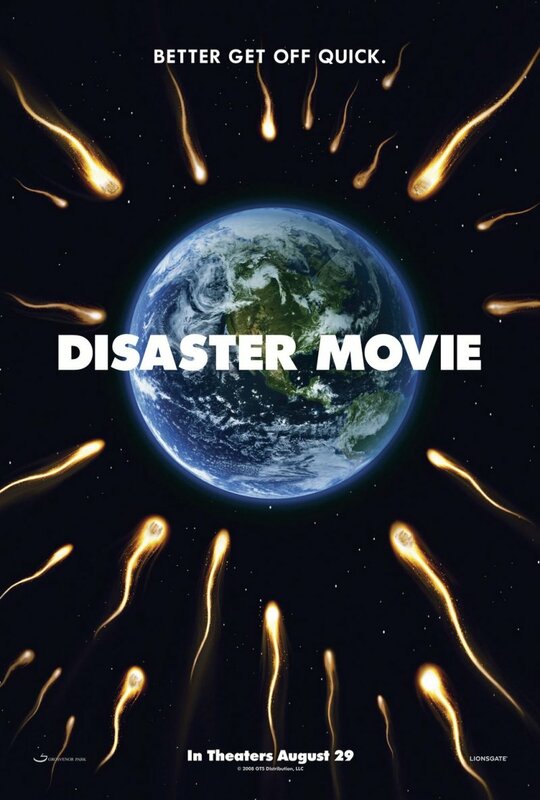 This is supposedly the last Disaster Movie teaser, so no more sitting on the edge of your seat in anticipation. 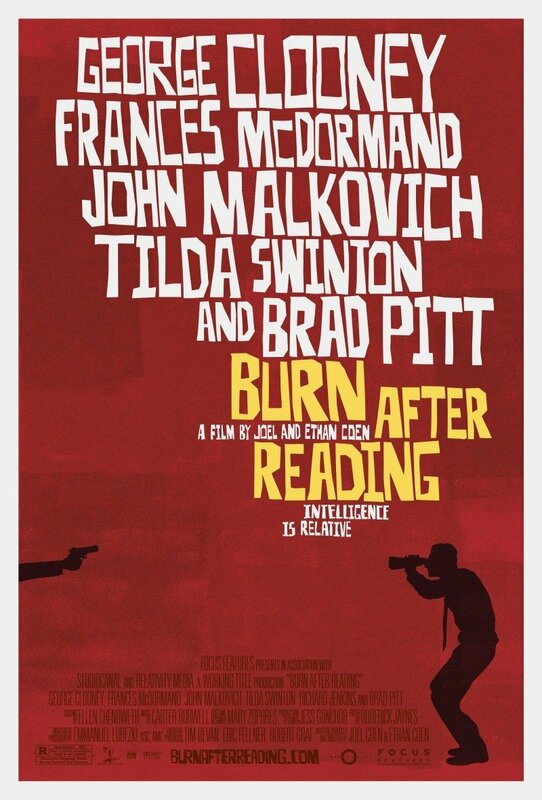 I keep thinking that Burn After Reading is a dead serious movie. I guess it’s the combination of still having the Coens’ latest (No Country) fresh on my mind with the strong title (burn!). But as this poster (and the trailer) makes obvious this is a a return to comedy for the brothers. 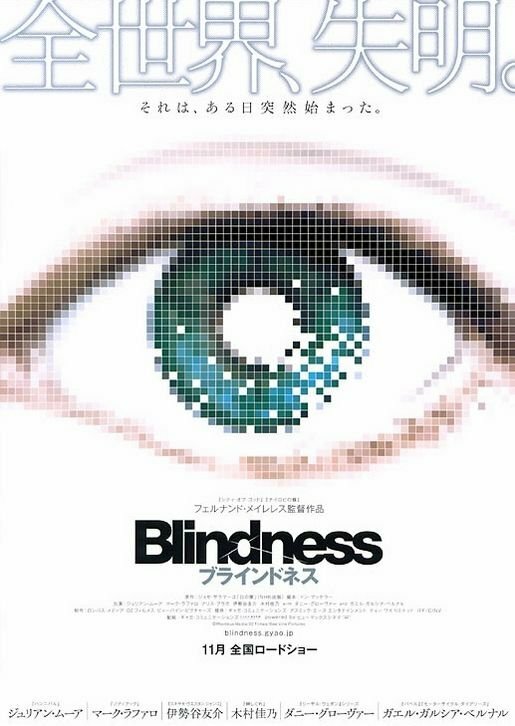 Many people have mentioned the influence of the well known Saul Bass posters in this. The designer even went out of the way to make the paper look a little old in order to give this a more authentic vintage feeling. And I think it works wonderfully, creating a distinguished image that, as far as I can tell, fits the movie’s sensibilities perfectly. The funny thing is that some of Bass’s most famous posters we made for serious Hitchcock films. Burn After Reading seems to be taking a much more comedic approach to the suspense genre, but his style feel right at home with that. Meanwhile I though that last year’s poster for Before the Devil Knows You’re Dead, which was also clearly Bass inspired, felt a little awkward when attached to such a serious movie. But then again plenty of people liked the Devil poster, so maybe it’s just me that feels that way.